Hello everyone, well its less than four weeks to Christmas and the temperature has certainly dropped. The kittens Byron and Shelley have taken to sleeping in the warmest places during the day instead of going out. The trouble with this is that they are full of energy in the evenings and so they have kept me busy trying to entertain them. Don't tell them but I already have their christmas stockings, well it is their first Christmas with us. Thank you to everyone who has stopped by the site this month and made their submissions in various places, pictures, stories etc. the site would be nothing without all of you. Another bumper month of your cat photo submissions. in fact we have 16 new cat photo pages. Here is just a selection of those entries, Visit the cat gallery to see all 16.. Enjoy. Here is december's Caption Competition. All you have to do is write a caption for this picture. . The deadline for this competition is Dec 23rd. The best caption will be chosen and the winners name and caption will be posted on the www.our-happy-cat.com competition page. 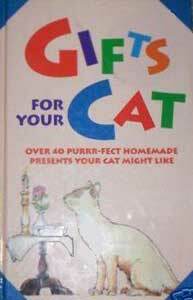 This month the prize will be a copy of the book "Gifts For cats" a funny little book with lots of cute ideas for your cat. I admit it we have a terrible garden, I am ashamed to say that after 11 years of living here we juts never got around to fixing the garden. That is until our Little Mo passed away this year and we had to find a place in the garden to bury her (no she is not under that pile of earth). It inspired us to sort the whole garden out as well and this picture shows work in progress. 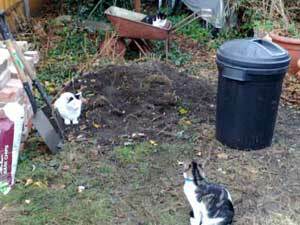 Matt and me are not very good gardeners and so its lucky that we seem ton have cats who like to help out a lot. Running around and attacking worms seems to be the thing to do apparently when gardening. In this picture you can see snowy a neighbors cat who has befriended Byron and Shelley and likes to come to play in the garden. It's great fun watching them play tag with each other and with no aggression at all. Our two boys are very sociable to both people and other animals. 5.. Article - Itchy Sneezy Cats – Cats Can Have Allergies Too. When we suffer an allergic reaction it can affect either our breathing or our skin but when a cat suffers an allergic reaction it is much more likely just to affect their skin. With around 15% of cats suffering from some sort of an allergic reaction you would think that cat owners would be very aware of the problem, however this is not the case and when a cat scratches excessively the first thing most people think or is a flea infestation. Symptoms of an allergic reaction can vary from cat to cat and from the type of allergen involved. However common symptoms are, severe scratching and itchy rippling of the fur, sneezing, face rubbing, excessive grooming causing bald spots to appear, eye and nose discharges or breathing difficulties although this last one is rare. In some cases small hives can appear on the skin which look like little raised circles, these hives will be very itchy for your cat but will normally disappear within 24 hours. With 15 % of cats suffering from some sort of allergic reaction it is important to know what the possible causes of these allergies could be, to be able to eliminate them from the cat’s environment if possible. There are four main possible things that could cause an allergic reaction in your cat and by experimenting with use and then removing it from the cat’s environment, it should be possible to discover the actual cause. The first thing to consider is the type of food you are feeding your pet. 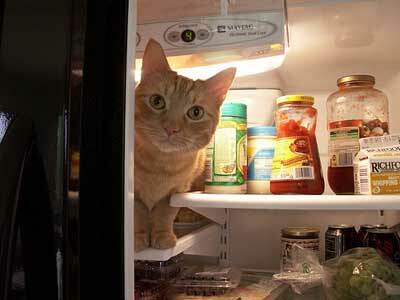 Although most of the main commercial cats foods claim now to contain only the best ingredients there main be certain additives in the food that may affect your cat or it may simply be that the cat is allergic to a certain food type such as tuna. Try a different brand of food at first, if there is no difference then change alter the type of food i.e. chicken instead of fish. Some medications including some vaccines can cause and allergic reaction in some cats. However cases of an allergic reaction are rare and although there is no way of knowing this before hand it should not prevent owners from protecting there cats from far more harmful illnesses. Most allergic reaction if caught early enough should be able to be successfully treated by a vet. One of the most common things that can cause a cat allergy are insects and parasites. A sting or a bite from a garden insect although generally completely harmless and only mildly irritating for most cats can cause a slightly more severe reaction in some cases, but is generally not long lasting. Fleas are generally the most common parasite that can cause a nasty itchy in some cats from their bite. It may not necessarily mean that the cat is infested with fleas, as only one bite can cause the reaction. Although the symptoms are short lived, it may be severe enough to require an antihistamine injection from a vet, usually where the cats scratching is breaking the skin and causing bald spots. Making sure that the cat is regularly treated for fleas should prevent the allergy in the long term. As in humans, cats can also be allergic to airborne allergens such as pollen, grass seen, mould and household chemicals such as air fresheners or cleaners. Obviously the owner cannot do much to eliminate the natural airborne irritants from the environment but ensuring that the cat is not present when household chemicals are being used could prevent any adverse reactions. In most cases the symptoms of an allergic reaction should clear up fairly quickly once the allergen is removed from the environment. It is the responsibility of the owner to try and discover the possible cause of the allergy to prevent the cat from suffering unnecessarily. In severe cases or where the allergic reaction is occurring often without the cause being discovered, a vet should be consulted to provide regular medication to relieve the symptoms.